An aromatic Eurasian plant related to marjoram, with small purple flowers and leaves used as a culinary herb. Strongly aromatic erect, spreading plant, with many branches, with fleshy leaves and stems. 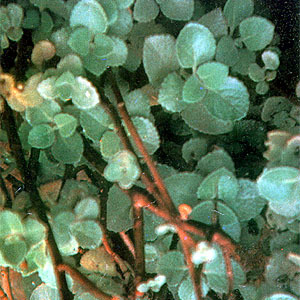 Leaves are heart-shaped, 4 to 9 cm long, the margins toothed and rounded, with small flowers. Aromatic, carminative, emmenagogue, diaphoretic, tonic, stimulant. Fresh leaves yield 0.055 volatile oil, largely carvacrol. The juice of the leaves for dyspepsia, asthma, chronic coughs, bronchitis, colic, flatulence, rheumatism. The dose is one tablespoonful of the fresh juice every hour for adults and one teaspoonful every two hours, four times daily, for children. As an infusion, 50 to 60 grams to a pint of boiling water, and drink the tea, 4 to 5 glasses a day. For children, 1/2 cup 4 times daily. For otalgia (ear aches), pour the fresh, pure juice into the ear for 10 minutes. For carbuncles, boils, sprains, felons, painful swellings: Apply the poultice of leaves to the affected area, four times daily. For sore throats, a decoction of two tablespoonfuls of dried leaves to a pint of boiling water, taken one hour before or after meals. Decoction of leaves is given after childbirth. This entry was posted in List of Medicinal Plants in the Philippines and tagged oregano on March 24, 2009 by Pinoy Herbs. I wanna learn more what kind of bacteria does it kill? such a good descriptions of herbal medicines…. I hope there’s such a lot of things to know about herbal medcines…. good luck to all and have a good career….. Thank you very much for the valuable information. I suggest that you update the Latin name to Plectranthus amboinicus to be more accurate with identification. Hi! I tried to search scientific name of oregano and the first appear is Origanum vulgare but lately i found out this Plectranthus aromaticus? Are they similar?